I would like more information about 202 Ann Street. Imagine The Possibilities! Single-wide Mobile Home on large lot. Home is 2-Bedroom, 1-Bathroom and needs almost complete rehab. The value is in the land. Corner Lot is 15,345 square feet or over 1/3 acre. Small wooden storage building sits next to home. 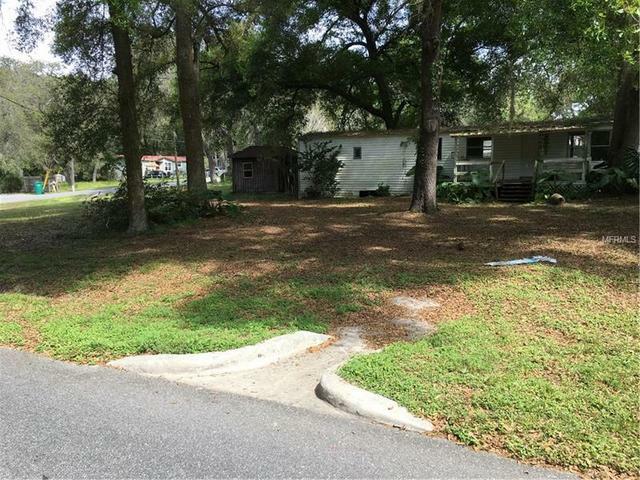 Location is in a nice Lady Lake community and close to The Villages, shopping and medical offices and hospital. Rehab the mobile and rent it or occupy or move another home onto the site build your dream home! Cash only. Directions: From Leesburg: N on Hwy 27/441, West on Morningside Ave, make first Right to stay on Morningside Ave. At stop sign make Left, then Right onto Chuck Street, Left onto Ann St., property is corner lot on left.